Mampu Cave with its unique beauty and legend is situated in Cabbeng village, Dua Boccoe sub-distrit, Bone district, Sulawesi Selatan Province. This cave is located at 250 meters above the sea level, exactly on the edge of Mount Mampu which looks like an upside-down ship when looked upon from afar. This cave has an interesting legend. Local people know the legend as Kutukan Mampu (the curse of Mampu) Legend. This legend tells a story about a king’s oath who cursed his people into stone. In the cave you will find stones which have a resemblance to people. This cave is formed by natural process thousands of years ago and to enter this cave you need to bring flashlight yourself as inside the cave it is completely dark. You’ll be amazed by the view inside with many stalagmites and stalactites arranged in order. You can find two ancient graves which will surely give a mystical atmosphere in the cave. One grave is located at the center of the cave, while the other one is located at the seventh floor. You can also find many stones which resemble animals like crocodile, rat hanging and there is a big stone which looks like a ship. This 200 meters wide cave is used by the local people to make a living by collecting the bat’s feces which are then sold as a fertilizer. To enter this cave you will be charged IDR 2,000 (adult) and IDR 1,000 (child). If you do not bring light with you, you can rent it for IDR 2,000 per torch. 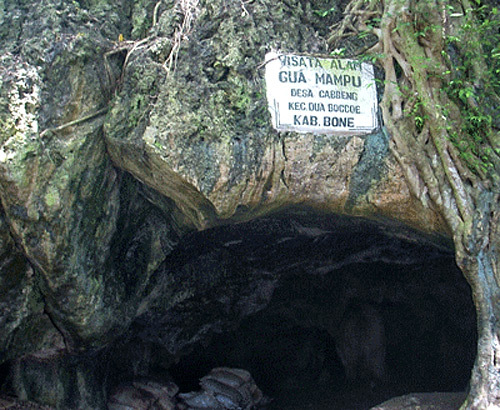 To get you easier in exploring this cave, you can also hire a guide for IDR 20,000.